With summer quickly winding down, the new school semester will be here before you know it. 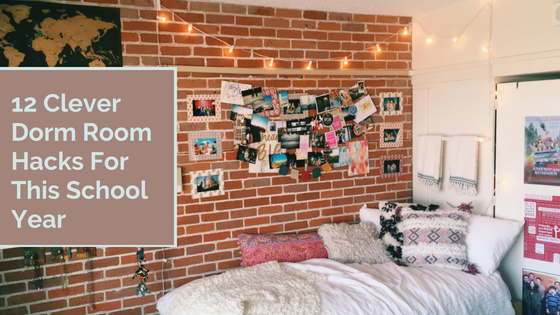 Whether you’re an incoming freshman gearing up for their first year of college, or a returning student, keeping your dorm room or apartment organized and tidy is vital to help keep you sane during the busy school year. 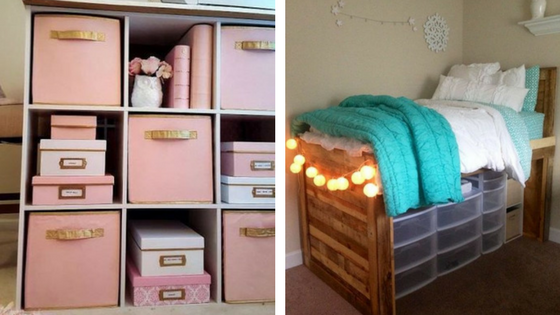 Here’s 12 dorm room hacks for this school year. 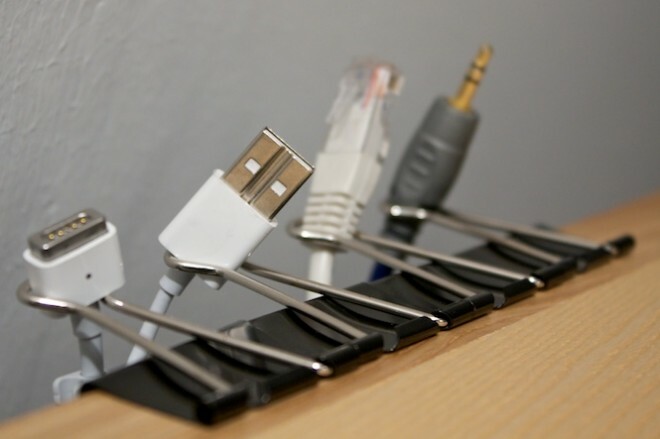 Take some extra binder clips and clip them on the end of your desk space. Once you label them, you can easily identify what cord belongs to what. 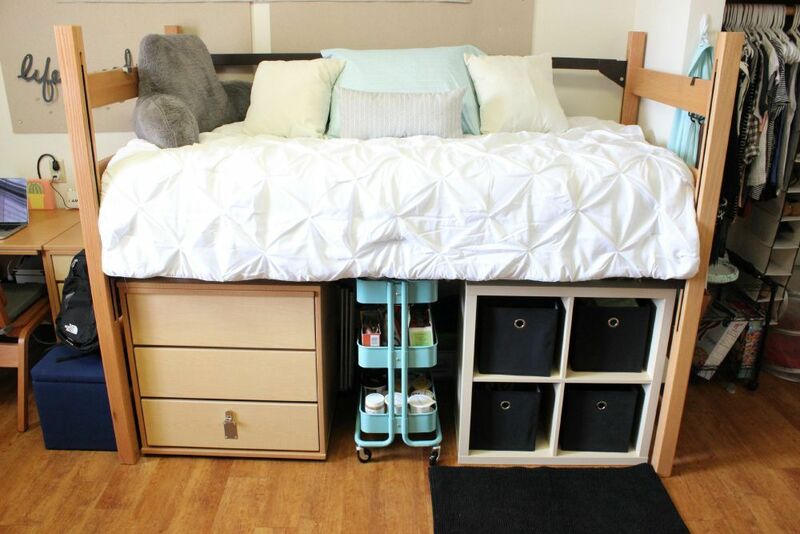 When you move into your dorm, gain extra storage space by raising your bed (if it isn’t already!). This way, you can place storage bins underneath, or even move your desk below the bed to make the rest of your space more roomy. 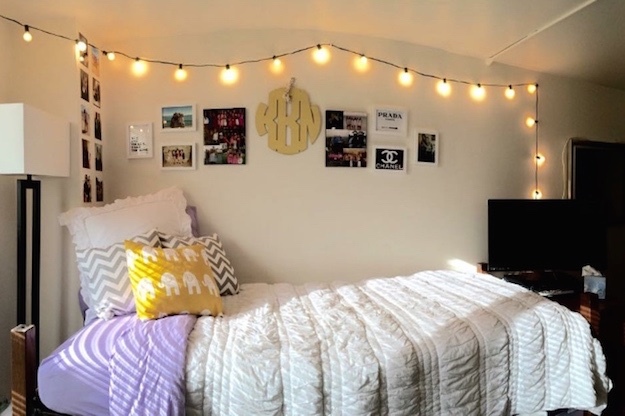 Check out 5 space-saving tips for your dorm that you can utilize. 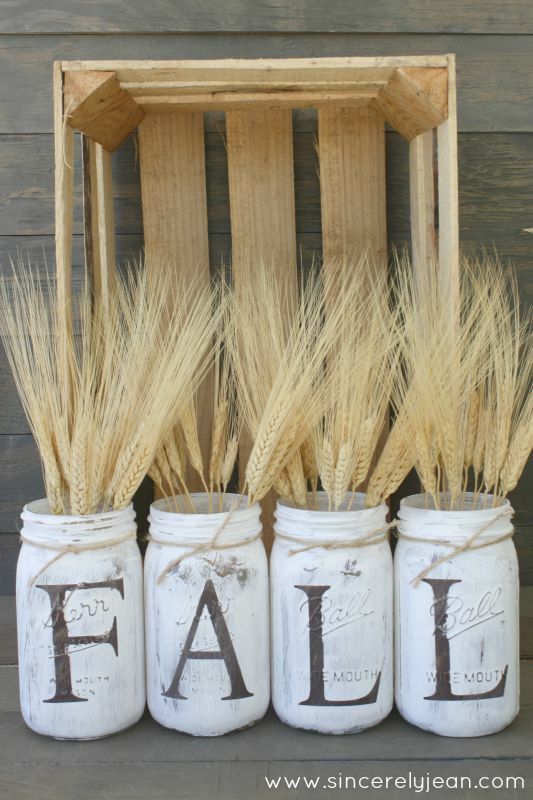 Paint and design inexpensive mason jars before the school year to bring with you. 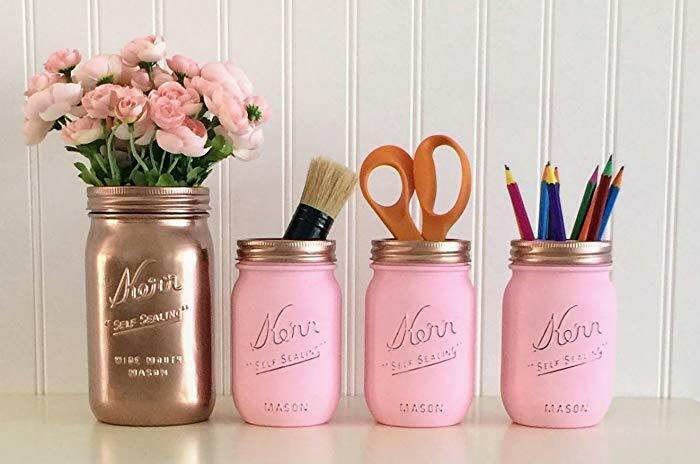 These jars are the perfect way to add some extra storage for school supplies, makeup brushes, toothbrushes and other small items you have. Plastic shoe organizers are cheap and simply go over a door. Dorm rooms and college apartments are typically super small, so any extra space you can create is a bonus. 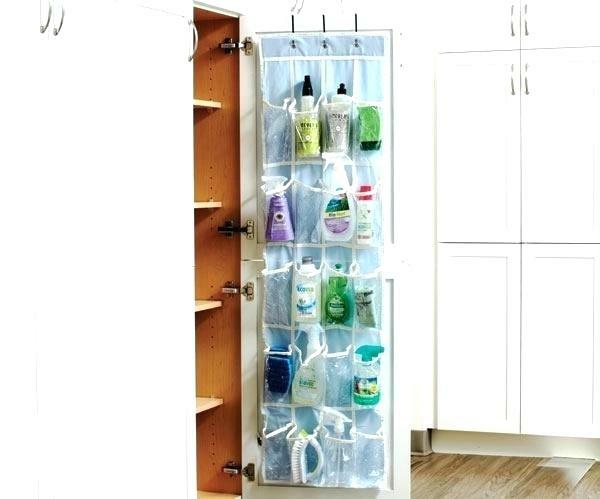 You can store anything from snacks, to shoes, to cleaning supplies. Most of the time, you’re sharing a room or place with another person or a few people. 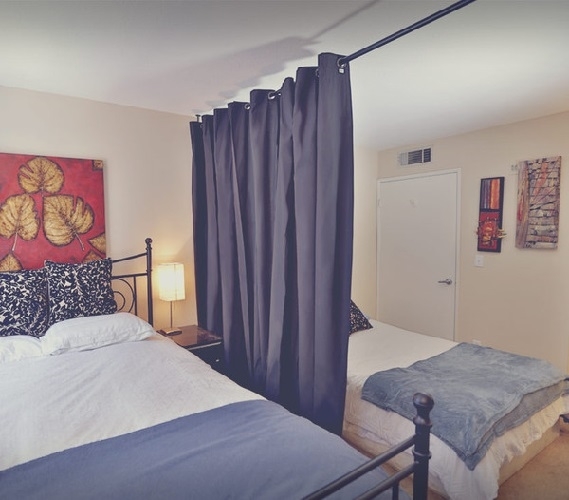 Look into buying a curtain to hang in between you and your roommates area to divide the space. 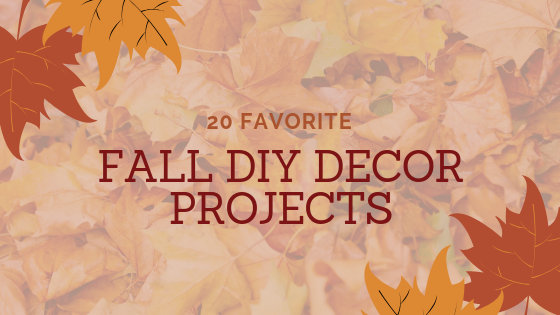 You can also hang a curtain over your closet or around your bed to give yourself more privacy. 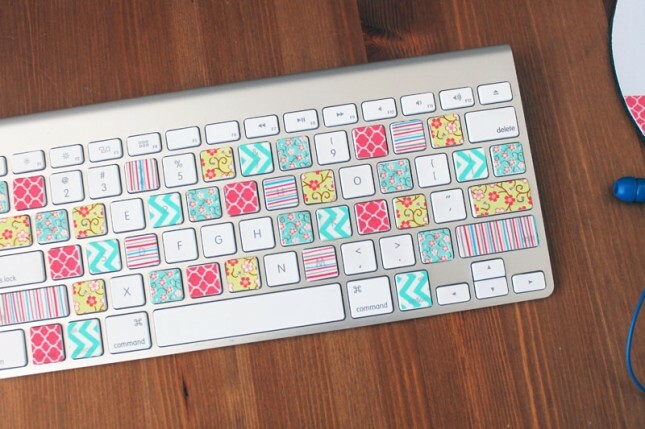 If you haven’t used Washi tape yet – get ready to love it! Washi tape comes in thousands of different colors and patterns and can help brighten up your dorm. 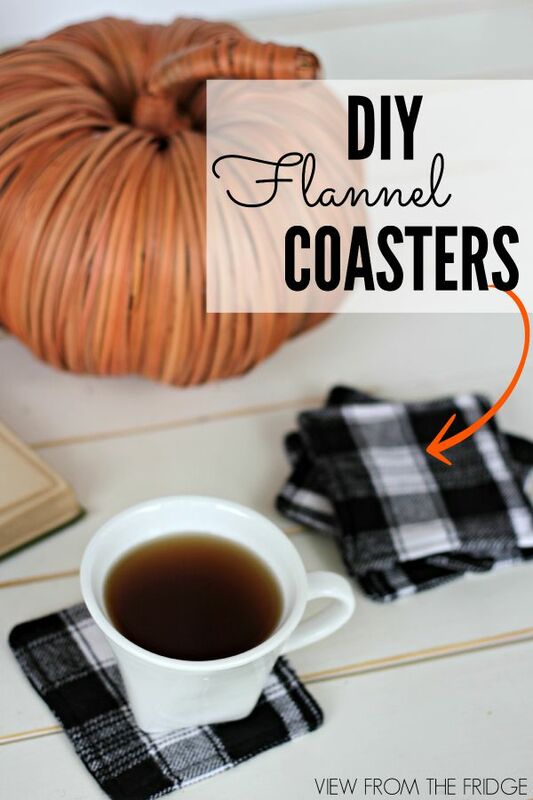 Easily stick the tape on keyboards, desks, clothespins, etc. 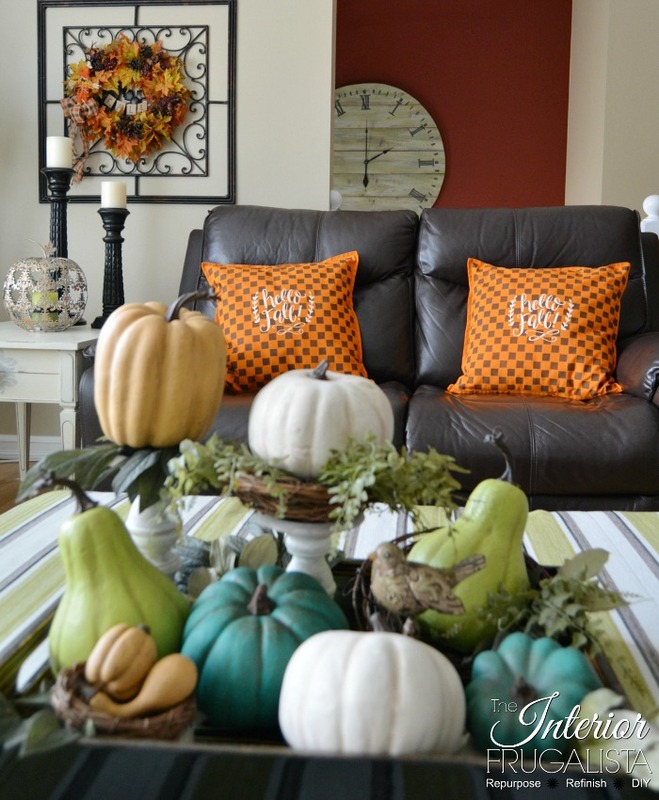 to make your space fun and colorful. Corkboard is cheap and easy to design to your liking. 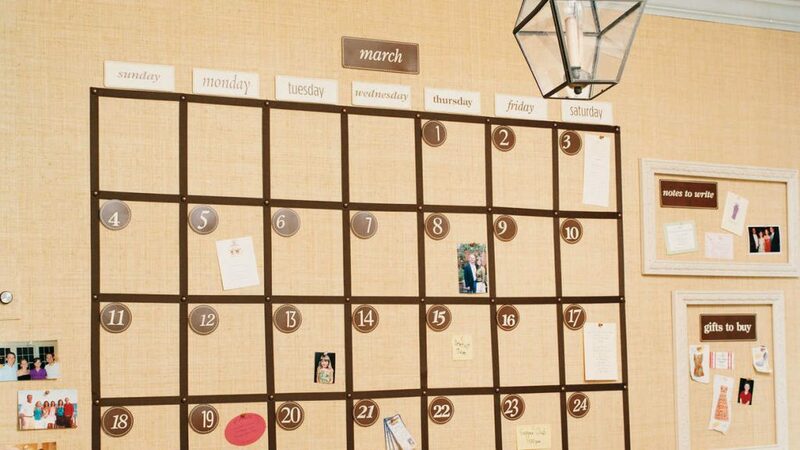 Turn a large or small corkboard into a calendar to keep yourself organized. Pin up your class schedule, school activities, trips and anything else you don’t want to forget up so you’re reminded of these every time you’re in your room. If you have items you need to keep safe, like keys, bank cards or cash, use metal candy tins to hide these items and place away in a drawer. No one will suspect anything important is in a tin like that! 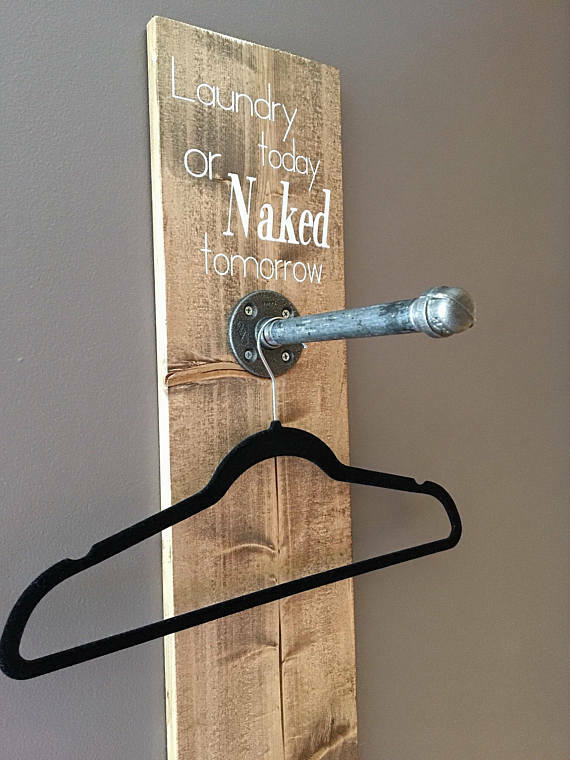 Instead of having a clothes hamper taking up room on the floor, install a coat hook or plastic command hook onto the back of a closet or bathroom door. 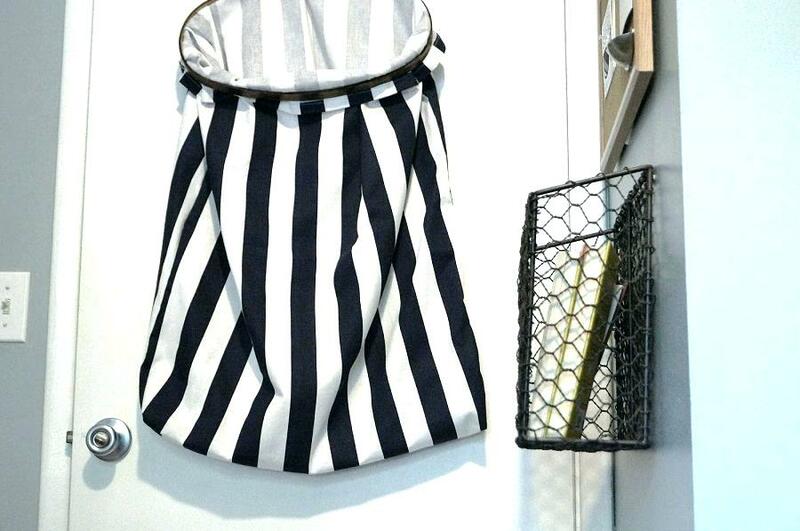 Hang a hamper and voila!- your dirty clothes will be out of the way! Dorm closets are extremely tiny – so you need all the space you can get. Hook soda tabs onto a clothes hanger, and hook additional hangers through the tabs. Now you can have multiple clothes items off one hanger and can create more room for other clothes. 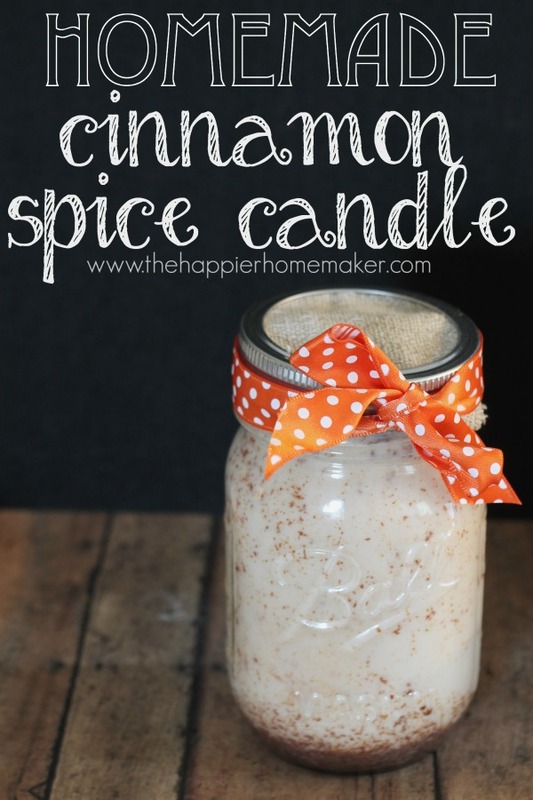 No candles or sprays? No problem! 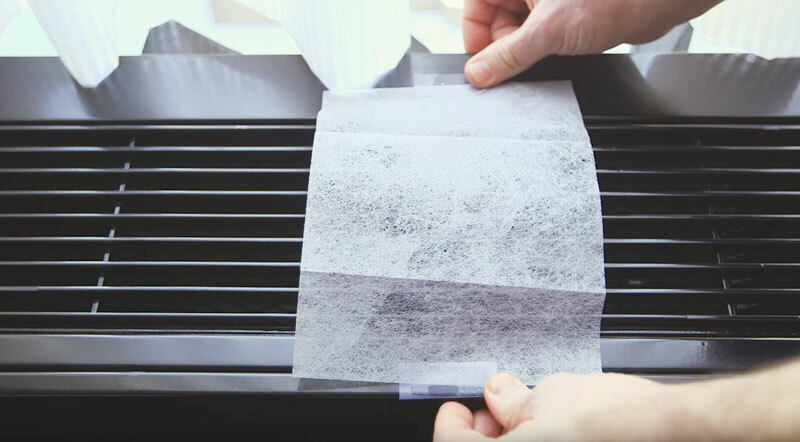 Place a dryer sheet over your AC unit or in an air vent to get that fresh scent to spread throughout your whole dorm room. 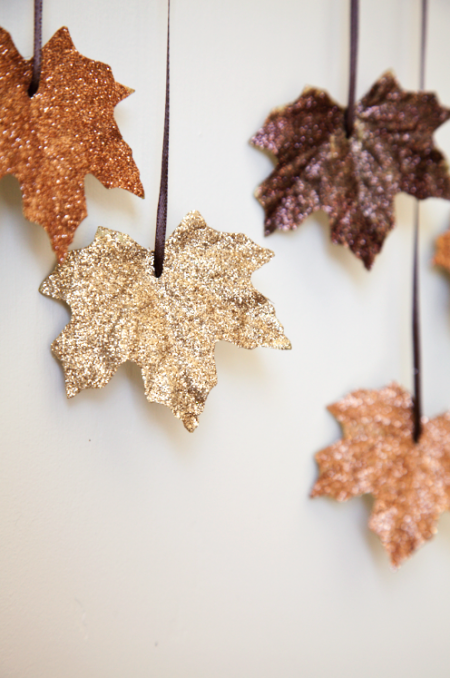 There’s no need to live in a bland dorm space. 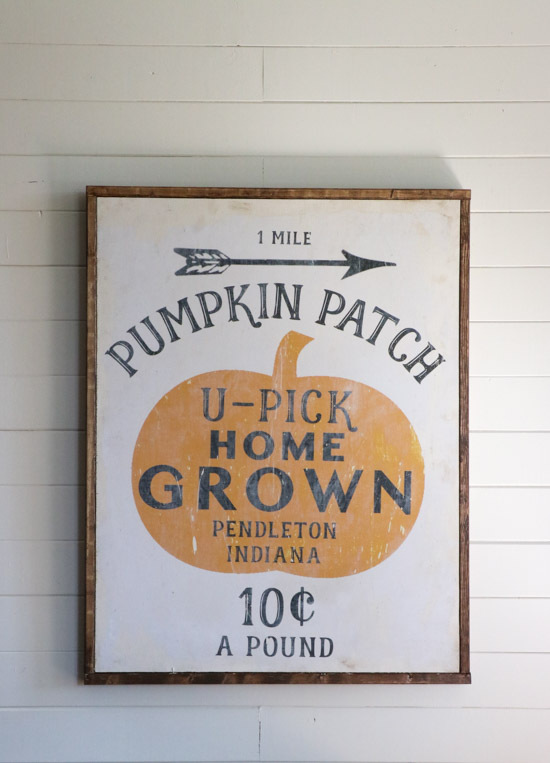 Pictures and other decor can get pricey, so create some of your own wall art before you head off for the school year! 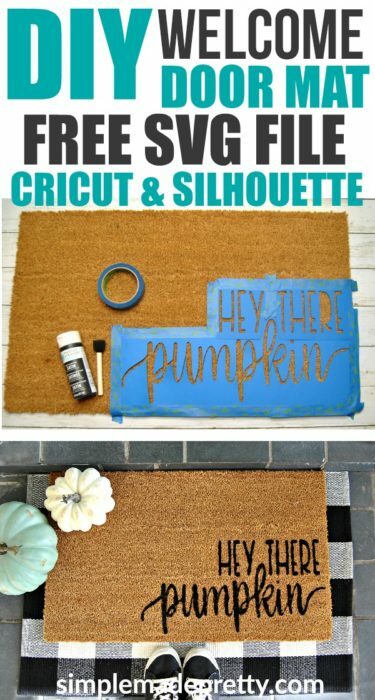 Hang up cheap string lights, paint your own canvas piece, hang up Polaroid pictures on string or place cute quote prints in a cheap dollar store frame. With spring season among us, it’s time to gear up for some spring cleaning, organization and DIY projects! A small area in your home that could benefit from some extra storage space is the room you dread spending time in – the laundry room. 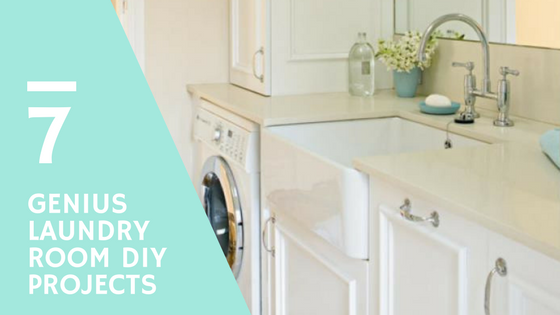 To make life a bit easier, we’ve found 7 genius DIY projects to help make your laundry room more spacious and organized! 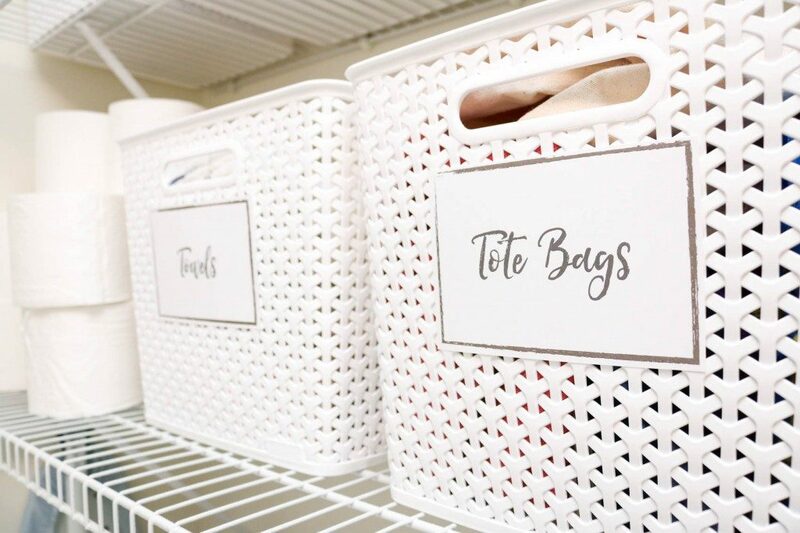 Instead of having various laundry baskets throughout your home, or baskets out in the open in your laundry room space, think about installing pull out laundry baskets. 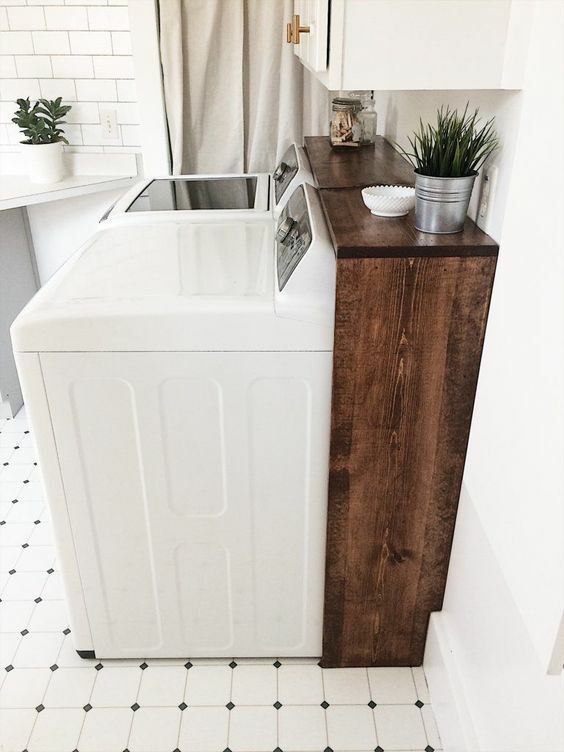 If you already have some extra cabinet space in your laundry area, swap out regular cabinet doors for pull out drawers, like Erin at Sunny Side Up did. Not only does a shelf behind your washer and dryer create a new storage spot, it also helps hide wires and cords, keeping your room looking more clean and tidy. With just a few pieces of wood, nails and paint, you can have yourself a new shelf in your laundry room. Check out how Sarah from Thrifty Decor Chick easily and inexpensively made her own wooden wall shelf. 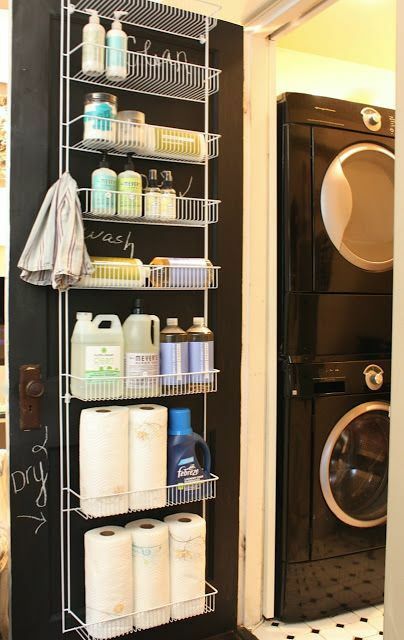 A budget friendly and simple way to create extra storage for laundry detergent, paper towels, soaps and more, is an over the door rack. These simple racks take up little space, stay fairly hidden and can create loads of more room to help declutter the laundry area. Racks like this can be built with wires material, wood or metal. 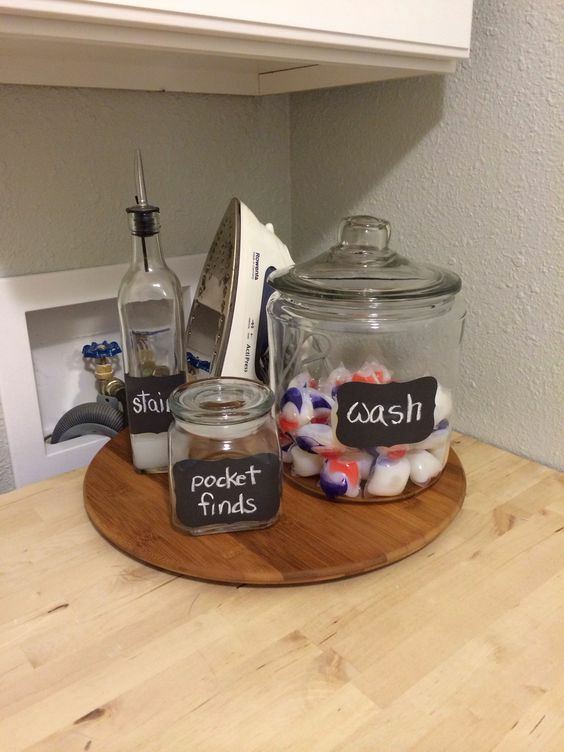 Stop having bulky laundry bottles spread around your laundry room by purchasing a few glass jars and bottles to store detergent, pods, soap and other laundry items. This helps spruce up your area, saves some space and helps get those not so attractive bottles and packages out of sight. Add a chalkboard sticker to label, or print your own label stickers to jazz up the look of the jars, too. No room to hang up clothes and no space to put up a large rod? No problem! 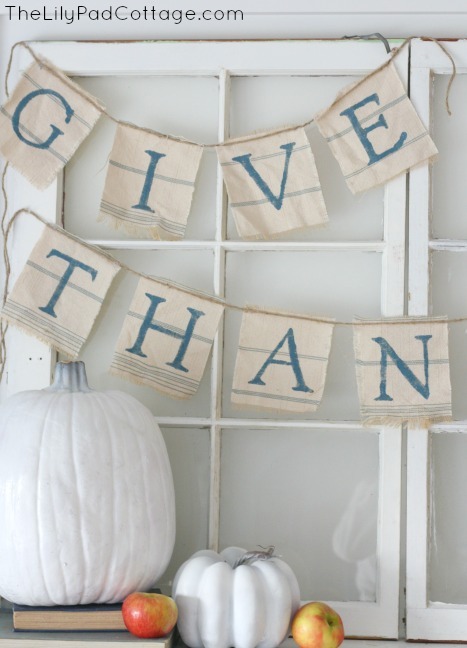 Create your own wooden sign with a small rod to hang up in a tight space. 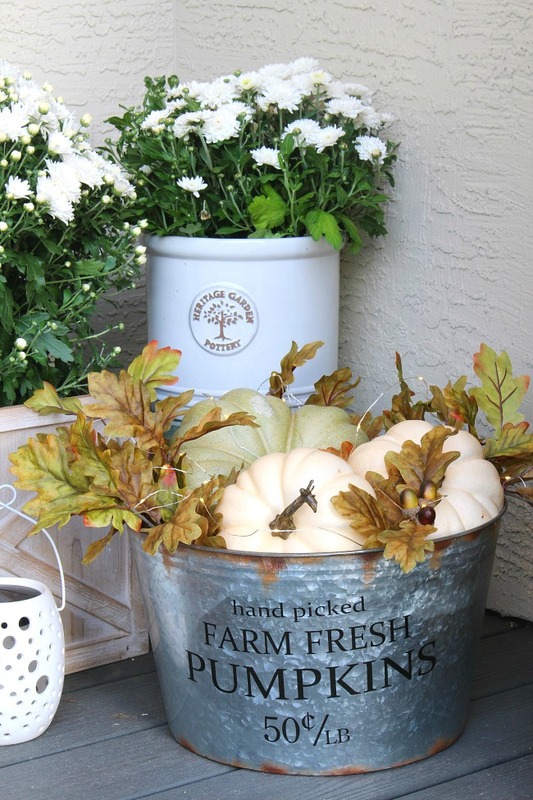 Get inspiration for this project by this sign by Rustic Designs by Leisa on Etsy, or purchase if you’re not in the DIY mood. This may seem like a no brainer, but even if you have a small amount of wall space, you can still add a small hanging shelf or two. Hanging shelves have a clean and modern look, and are the perfect spot to put baskets to hold laundry necessities and cute decorative items. Take tips from Alicia at Thrifty & Chic who made and installed shelves with 4 simple items, or purchase then install shelves from places such as Ikea, Target or Walmart. Don’t let the small spaces in between or next to your washer and dryer to go waste! 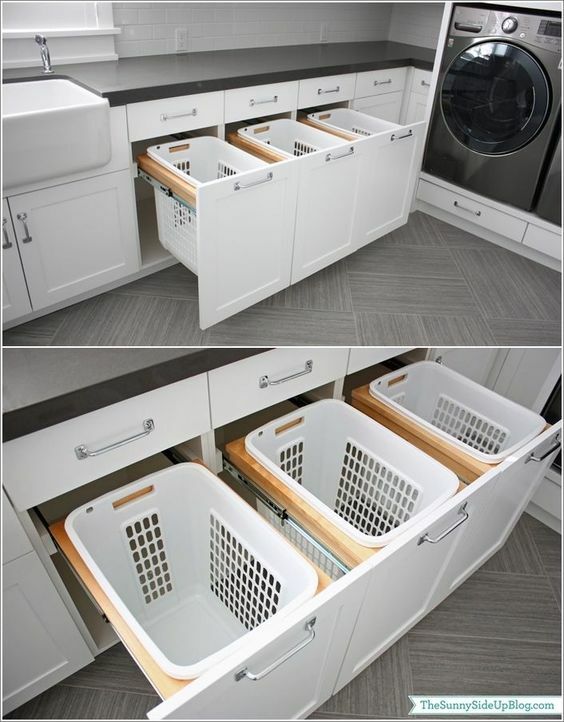 Try building a slim rolling laundry cart to add much needed storage and keep clutter out of sight! 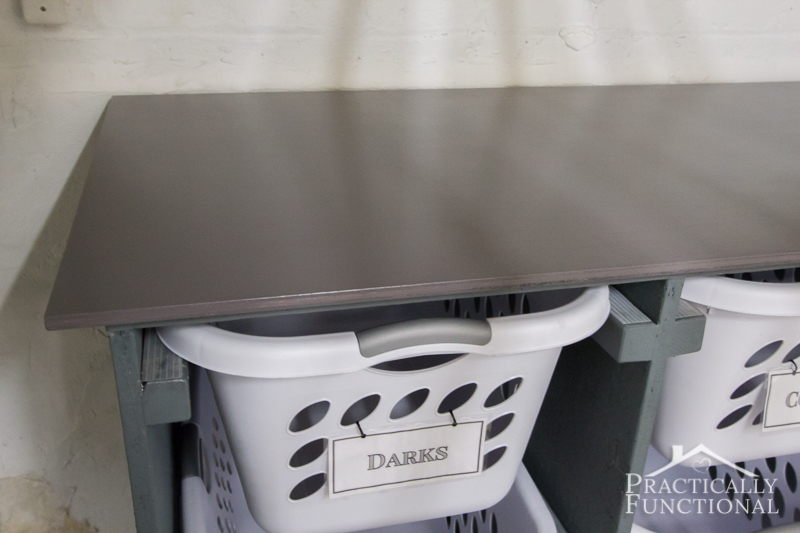 This can be a bit more of an intermediate DIY project- but totally worth the time and effort to help keep your laundry room looking clean and organized! 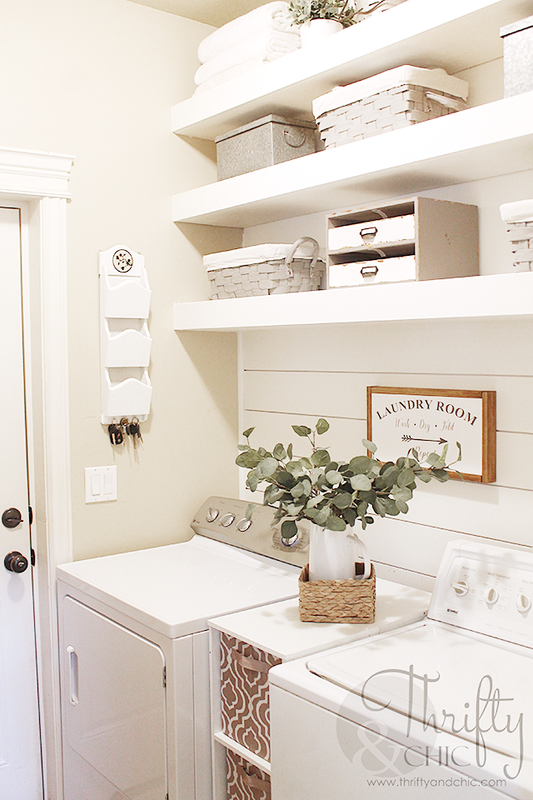 If you’re ready to tackle your laundry room – these are 7 of our favorite DIY projects! The possibilities to reorganize your laundry room are endless, so grab your hammer and nails and let these ideas help you get started on giving your laundry room some more space! The minimalist trend is taking the United States by storm- with many people looking for ways to declutter, downsize and live a more simple life. More than ever, people are collecting and accumulating more items, such as clothing, household items, and electronics- but these things are starting to build up and are taking over homes, garages, closets and offices. Whether you’re moving to a smaller place, or just want a less cluttered home, finding ways to live a more minimalist life can be extremely helpful to combat all that clutter. 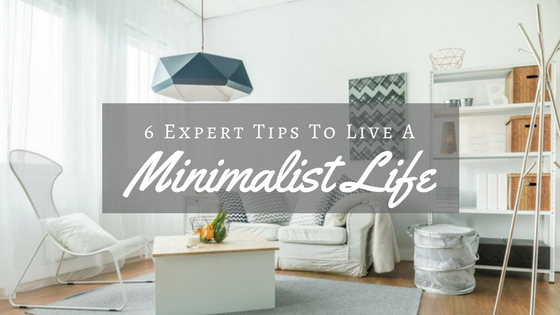 Here’s 6 tips from experts on how to be a minimalist. While organization may not be your forte, this is a pretty simple minimalist tip to keep you organized. Marie Kondo is a best selling author and lifestyle expert known around the world for her revolutionary ways to minimize clutter, and reminds everyone to keep like items together. Her advice is to stop having things like “junk drawers” or “random bins”, and group like items as much as you can together to avoid misplacing things or keeping unnecessary items. 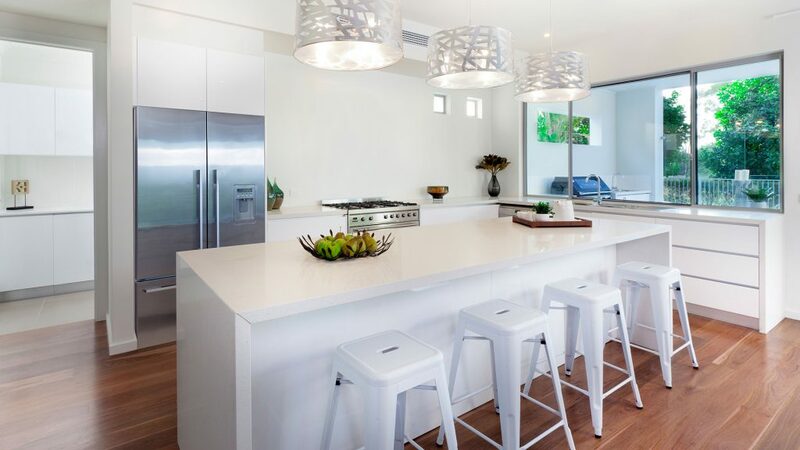 Minimalist experts Joshua Fields Millburn & Ryan Nicodemus have helped over 20 million people live a simpler life, and suggest clearing out clutter in your kitchen to create an organized and calm kitchen environment. Get rid of appliances you never use, and take the items you do utilize, like cutting boards, blenders or food processors, off counters and store in cabinets or a pantry so they’re out of sight. Bestselling author of ‘The More of Less’ Joshua Becker knows dozens of ways to help declutter, and one great suggestion is fill one trash bag. 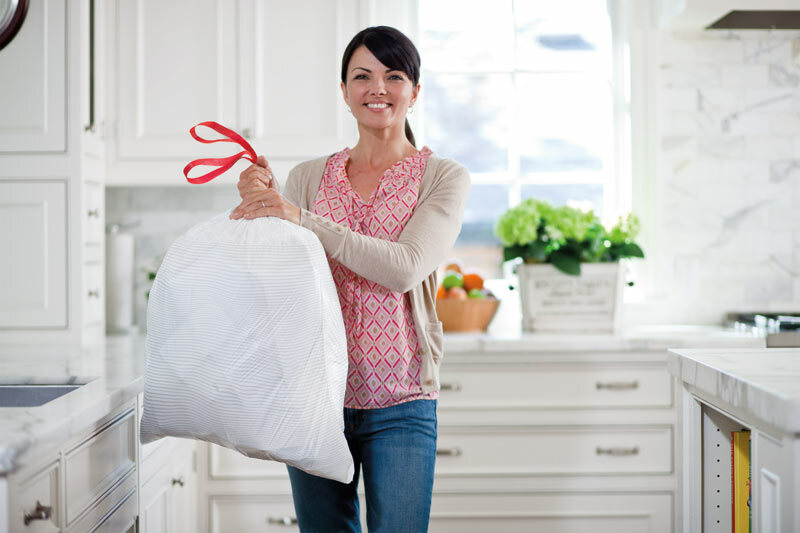 If you’re looking for a quick, easy way to declutter, spend a few minutes going around your home, and fill the trash bag with anything you don’t need. Joshua says that while much of what you’ll collect will be trash, this could also be used to fill a bag for Goodwill or another donation center. 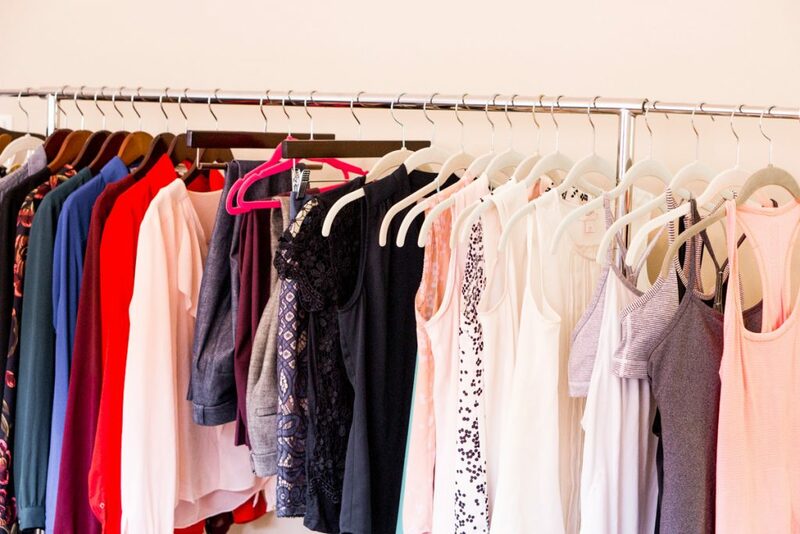 Lifestyle expert Melissa Garcia knows closets can be packed, and utilizes the hanger flip technique. 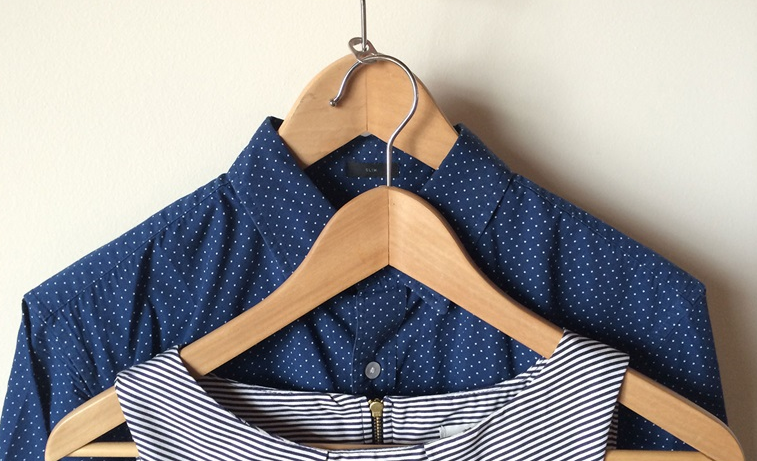 If all of your hangers are hung facing one way, once you wear something, put it back on the hanger and return it facing the opposite direction. After a certain amount of time, whether it be 6 months or a year, check back, and whatever hangers weren’t flipped – you aren’t wearing. Now you’ll know it’s time to get rid of the clothes you haven’t worn, and donate to your local clothing bank. When downsizing your home or cleaning up lots of clutter, many people get stuck with the dilemma- should I keep this or let it go? With a storage unit, you’re able to get the best of both worlds. Storage units are an inexpensive way to keep your home organized. 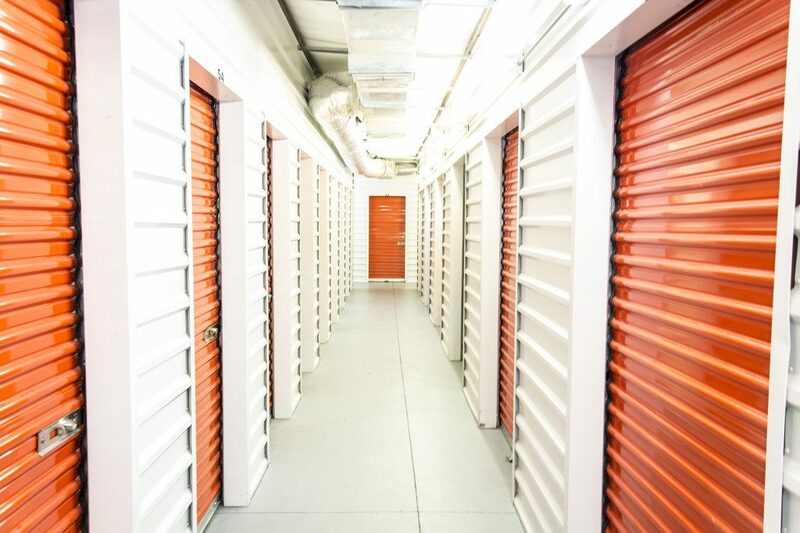 The storage industry has been booming, and according to the Self Storage Association, one out of every 10 households in the country currently rents a unit. Many people are taking advantage of self storage, as experts across the board show that keeping your home clean and organized can have a beneficial and positive impact on your well-being. 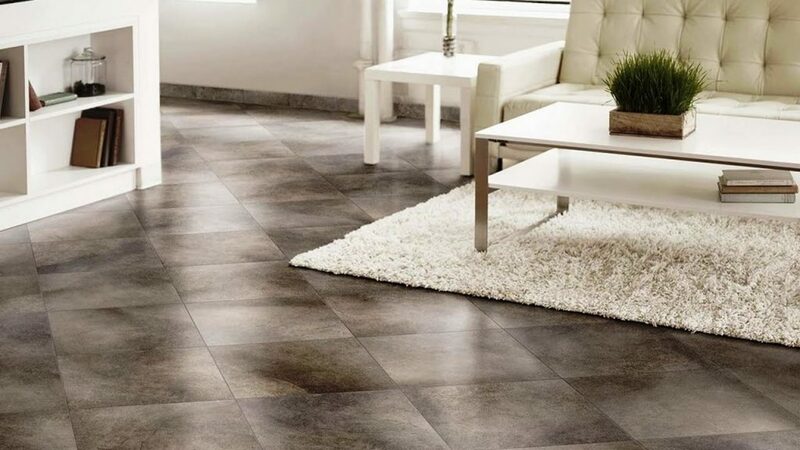 It may sound simple, but not placing things on the floors of your home can make a huge difference. Professional organizer Deanne Sharp spends her days cleaning and organizing her clients homes, and makes a point that keeping the floors tidy is a big deal. “I don’t tolerate school bags or shoes on the floor. They know when they come in they need to put them straight in the cupboard” Deanne says on her clients and their families. Like one of her motto’s say, there is a place for everything, and it just takes a little bit of organizing to find a spot for your items. Getting your home and life more organized starts with small steps, and these few tips can help. Take the advice of some of these organization experts, and you’ll be well on your way to living a more minimalist life! 2018 has arrived and like most people, you probably have a goal to become more organized this year. 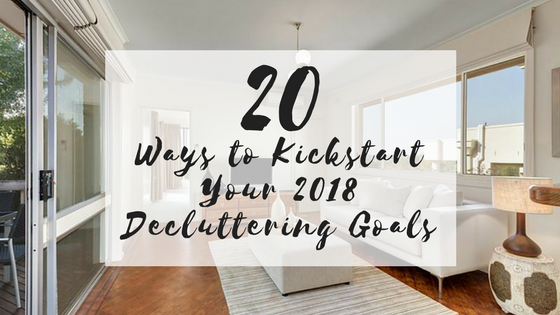 Keeping your home clean and tidy can be a daunting task, but we’ve compiled 20 ways to easily declutter your house and keep your New Years resolution! 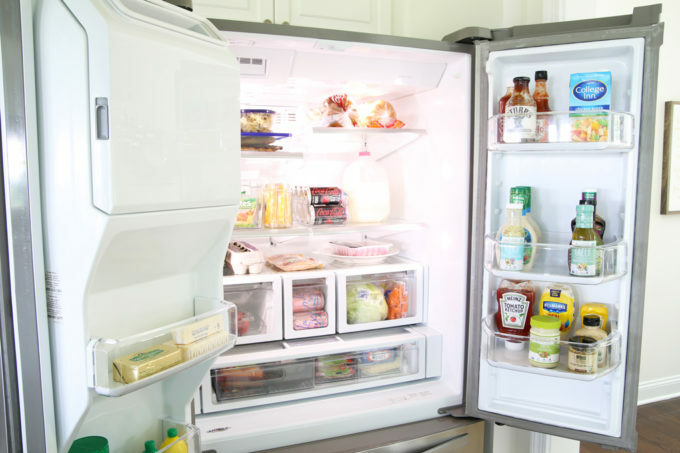 Spend a few minutes checking dates on all items in your refrigerator and freezer and toss any expired or close to expiring items that won’t be used. Then, re-organize some items to make accessing them easier. Go through your closet and purge any items you no longer wear or don’t fit. A good rule of thumb is getting rid of any items that haven’t been worn in 2+ years. There’s no need to keep things around that aren’t being worn. Bag any of these items and donate them to your local clothes donation spot! Any old receipts, bills or papers you no longer need – throw away! Clean out drawers, purses, desks, etc. If you don’t need physical copies, try downloading a scanner application on your cell phone and keep your important documentation stored there instead of cluttered around the house. Have an old video game console you haven’t used in years? Or how about a digital camera? There’s bound to be tons of old electronics around the home. Some of the best places to sell electronics online are Facebook Marketplace, eBay, Craigslist or Gazelle. 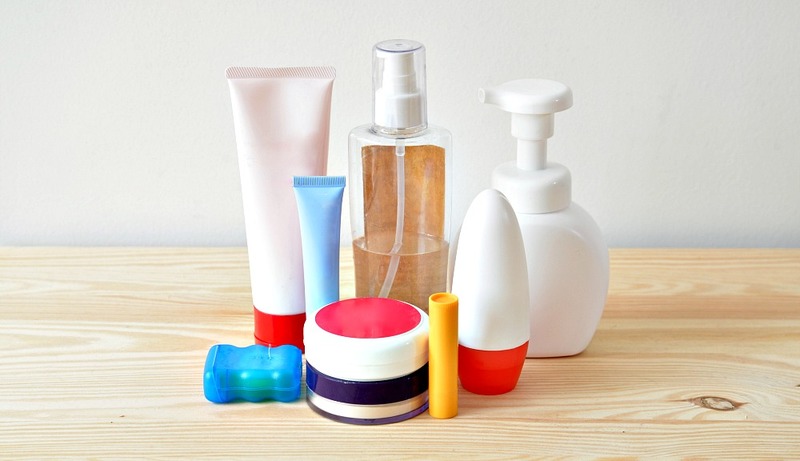 It’s easy to stock up on lotions, shampoos, shower gels, etc. Unfortunately, most of these items only have a 1-3 year shelf life. If you think it’s been sitting for a while, it’s probably best to toss it. How many socks of yours are missing their matching pair? Go through your and your family’s sock drawers. Any socks that are missing their mate- throw away (or re-use for cleaning purposes or crafts). This may be somewhat of an exhausting task; but go through your e-mails and delete any unnecessary ones you don’t need. This will help clear up some free space on your cell phone or computer. If there’s any that don’t pertain to you anymore, unsubscribe from them, or use a service like Unroll.Me to unsubscribe from multiple e-mails at a time. Take some time to go through any CD’s or DVD’s you have. There may be multiple ones you forgot about that you haven’t listened to or watched in years. If you’re keeping them to collect- look into storing them in an attic, or think about renting a storage unit to hold your collection. Many medicines have expiration dates that you may not be unaware of. Check dates on all medicines you own, and get rid of anything that is past it’s date. Try to sort your products so you’ll know exactly where everything when needed. How frustrating is it looking for a Tupperware not finding the matching lid? Time to get rid of those! Go through your Tupperware container drawer and toss any lids or containers that are missing their mate. It’s easy to just toss items like toothbrushes, floss, hair brushes, etc. into a drawer or two in your bathroom. Get an inexpensive drawer organizer to make accessing your bathroom items easier on yourself. If there’s any items your child isn’t using anymore, the best thing to do is donate them so another child can enjoy the item! While it may be hard to part with some items, your child will move on from some items that end up just taking up a bunch of room. 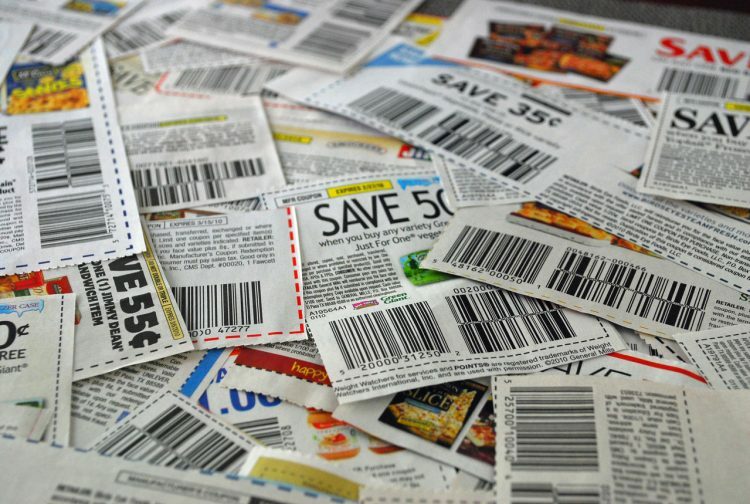 Collect all the coupons you have- whether they’re in your purse, hanging on the fridge or in a binder- and throw away any expired coupons or coupons expiring soon you know you won’t use. If you find that you have coupons laying around in various places, gather them all together and put them in a binder, organizer or folder in one spot. We all have that dreaded “junk drawer”… it’s time to finally go through it! Many items in there can probably find a ‘home’ somewhere else. Anything else in there not needed- throw away, and set a goal for yourself to keep the drawer not cluttered for the rest of the year. Look through your bookshelf and see if there’s any books you really don’t see yourself re-reading. Take those books and pass them along to a family member or friend, or donate to a place like your local library. Many of us toss our shoes in our closet, front hallways, etc. instead of keeping in one spot. Gather all your shoes and organize them to keep your home looking tidy. 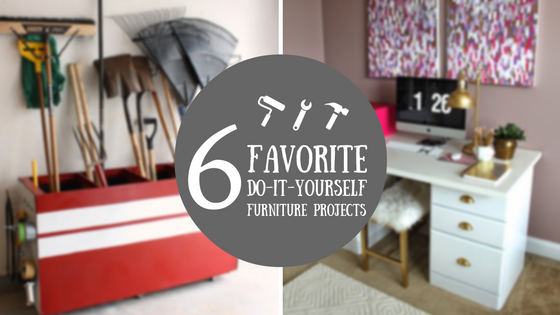 A shoe rack or shelf can make this process a lot easier. And if there’s any shoes you haven’t worn in over a year, it may be time to part ways with them. If you feel like your laundry room is a mess, take the plunge and work on organizing that area. Think about installing some shelves or buy baskets to keep your laundry products organized. 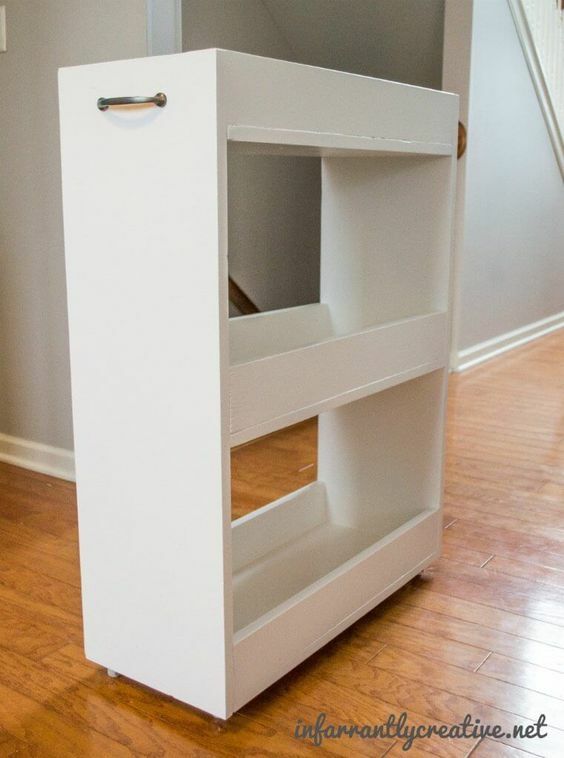 You can even give yourself a DIY project to do- like this laundry basket dresser. One of the most neglected places in a home is the garage. It’s easy for things to pile up and your garage to become overwhelmed with all your extra items. Spend a weekend afternoon, or take a few minutes each day to re-organize the garage, so you have more space to utilize. Look into plastic bins, shelving units or overhead storage to store all your items. Go around your home and gather all the cords you have. Test them out and if they’re broken, or you have no clue what they go to, dispose of them! Any cords you need that aren’t being utilized daily, wrap up together and store in one spot so they aren’t thrown around in random areas. 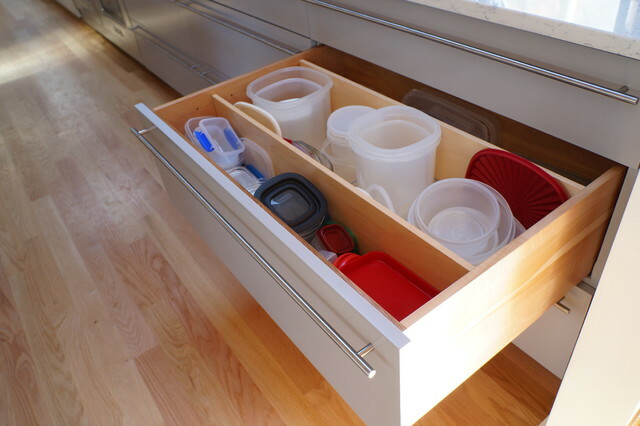 Kitchen drawers and cabinets can get excessively cluttered, so while you’re working on organizing your house, you’ll need to spend some time focusing on the kitchen. Purchase various organizers to help keep items in your drawers straightened out. Discard of any chipped, missing or broken items you find while going through your kitchen space. Sometimes life gets in the way, but if you take the time to declutter your home, you’ll feel so much more relieved and organized! We all dream of having a more orderly home, and these 20 tips are a great way to make your home clutter-free in 2018! 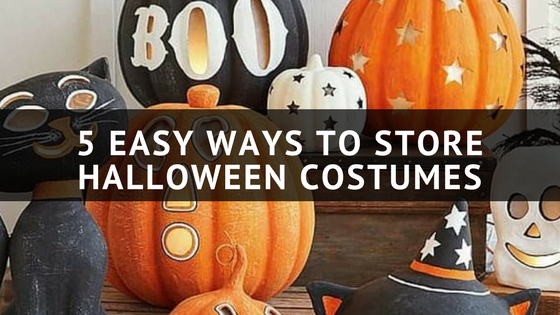 Every year, October 31st quickly approaches, and come the first of November- you’re stuck with finding a solution for storing your Halloween costumes. 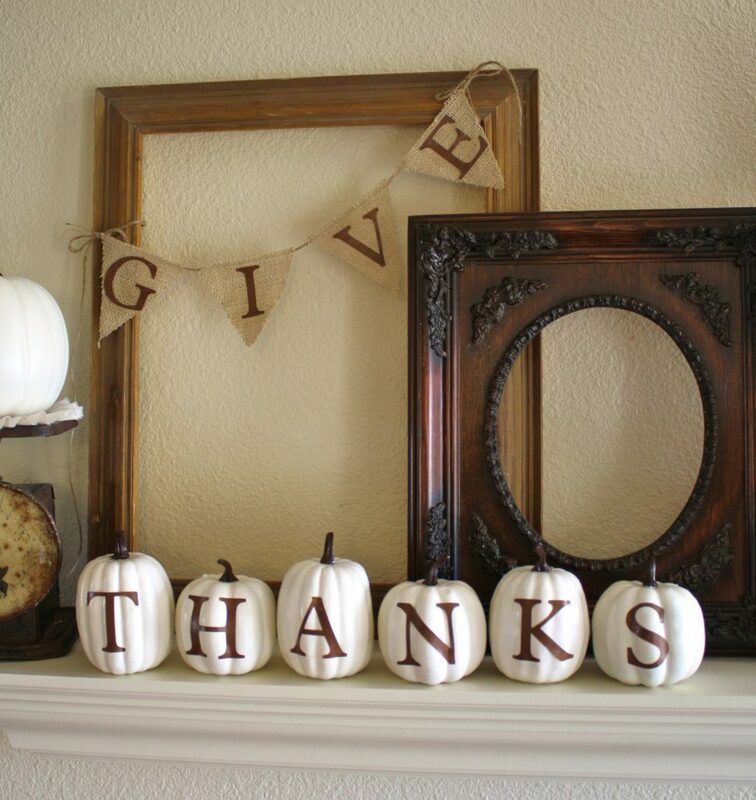 Over time, between your children, other family members, and your own costumes, these items can really build up. And how many times are you searching for an accessory to wear this year that you had worn a year or two before, like leggings, hats, tutus, etc.? 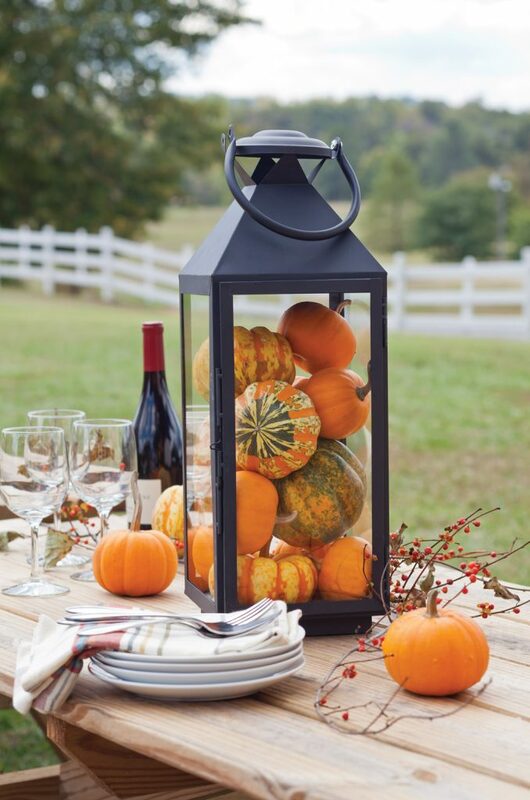 Start planning now on ways to store these items to make your life that much easier when next Halloween rolls around! 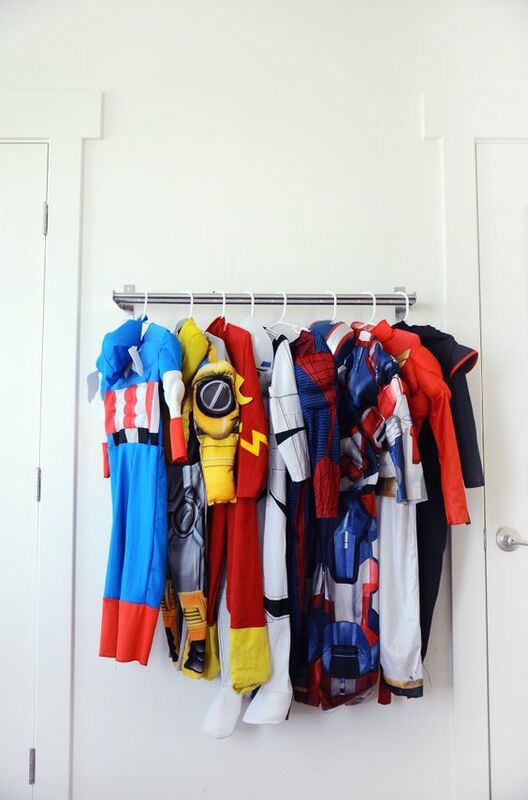 Here’s 5 easy ways to store your costumes and accessories! 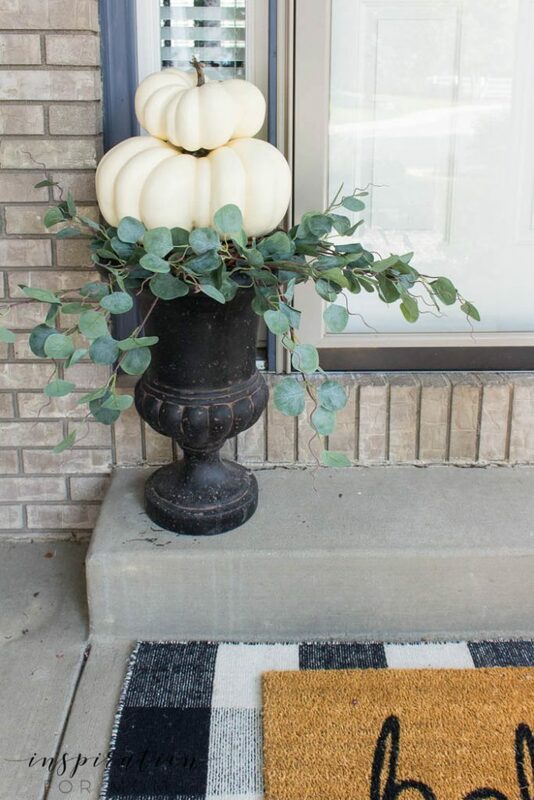 If you have an extra dresser laying around, and don’t mind a small DIY project, try making a fun play piece! 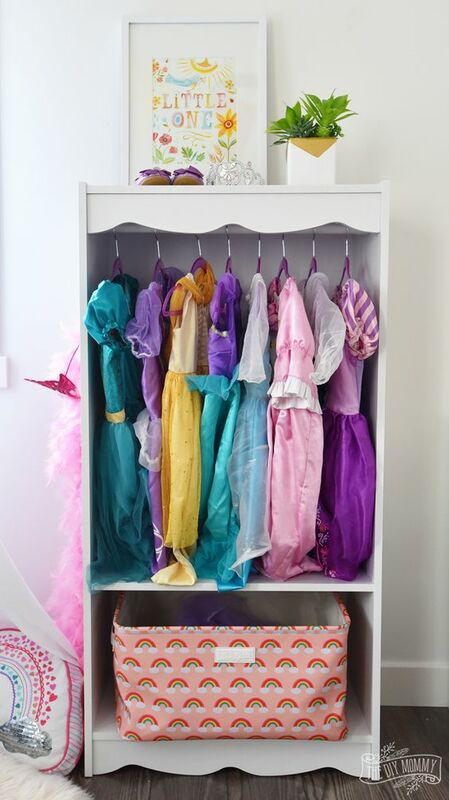 Remove the drawers, add some paint and insert a rod to hang up fun princess dresses, superhero outfits, or whatever else you may have been saving up! This dresser can fit perfectly in your children’s bedroom or play room, and will help get a lot of use out of the items, versus storing them away. For those with extra garage space or an attic, one of the best ways to store costumes is in bins. 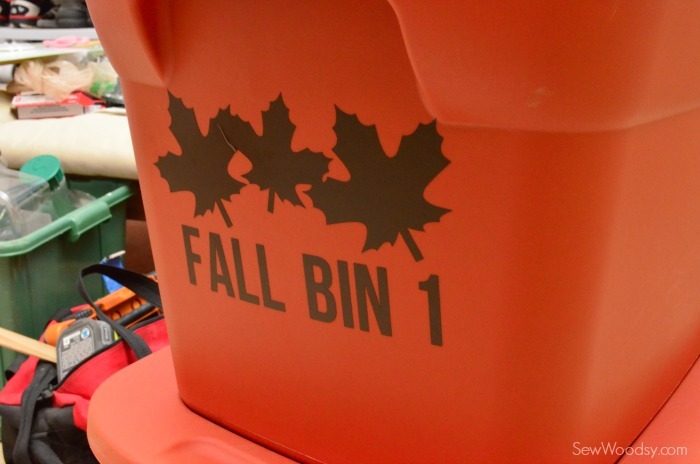 These bins are typically inexpensive, airtight and keep your items in great shape, even over time. They’re easily stack-able, and are easy to access. Make sure you put labels on them so you know exactly what is in each one! 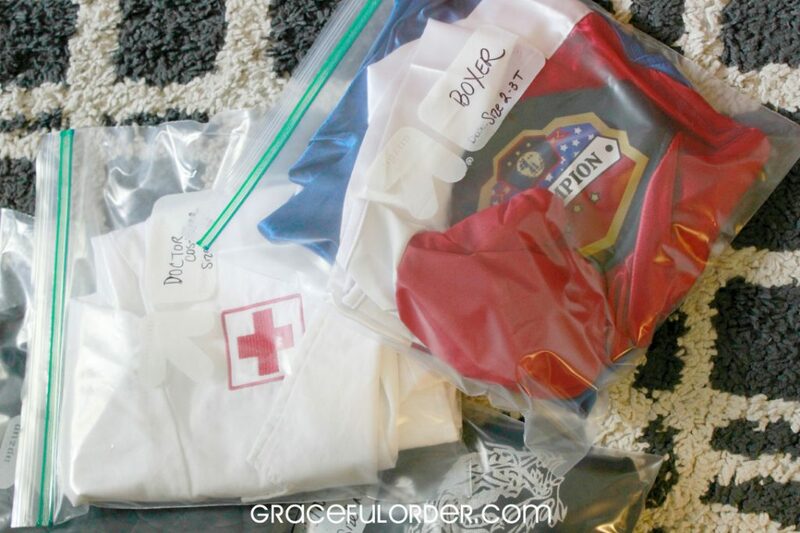 An inexpensive way to keep your Halloween costumes organized is by using vacuum seal bags or Ziploc bags! 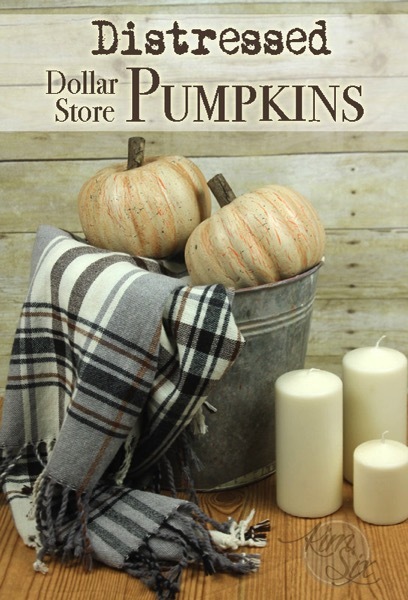 These items are usually laying around your house, and the best part is they take up little room. 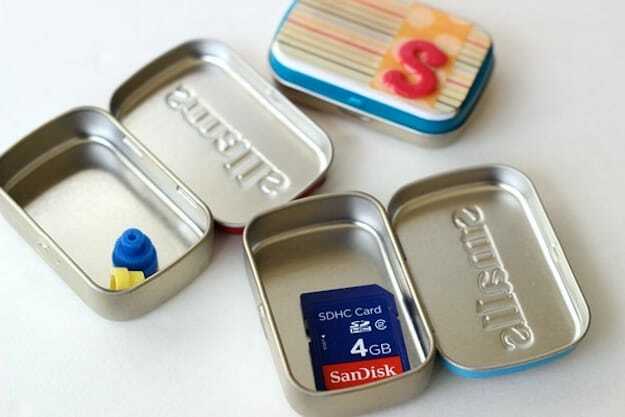 Stack them on shelves, put in drawers, under beds, and almost anywhere you’ve got space to store! Remember to grab a sharpie and label, including the type of costume and size. Another inexpensive storage idea is buying and installing a towel rod. 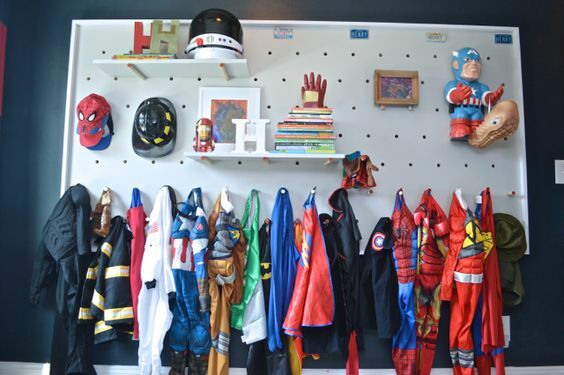 Like the DIY dresser above, this is a great way to make a fun play area to utilize your costumes throughout the year. Hanging up a rod takes no more than 5 minutes- a quick and easy solution! Peg boards have gained popularity over the years, and rightfully so- these boards make organizing 100 times easier. These boards can get hung up on walls, with pegs inserted into the holes in any order you’d like. Add as much or little as you need to hang up various costumes. You can also add shelves, other pegs for accessories, picture frames and more! 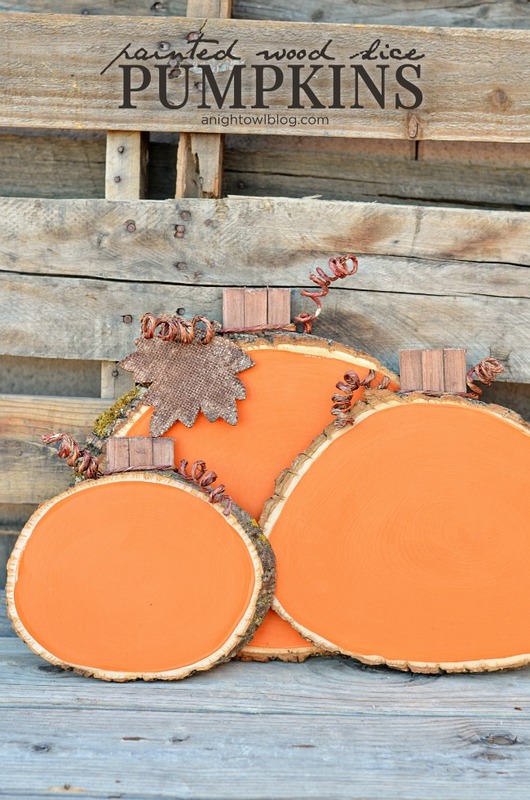 Peg boards are super versatile, and can be made to fit any style. 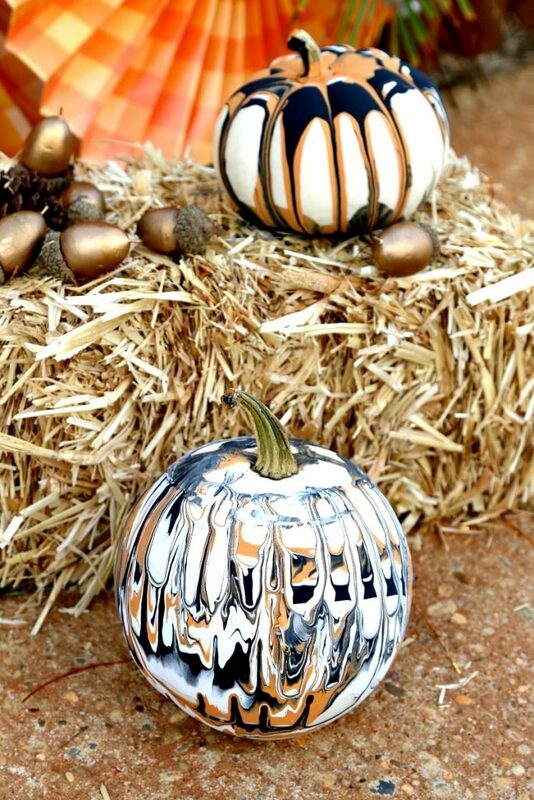 Halloween is filled with tons of fun- trick or treating, candy, pumpkins, haunted houses, and the list goes on. 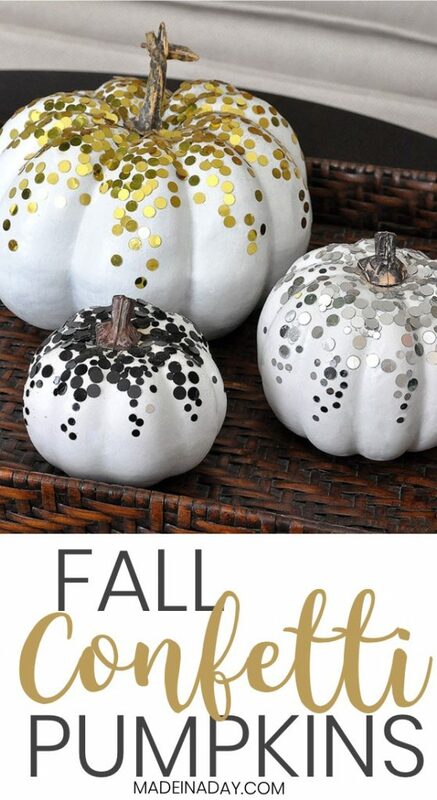 But don’t let all the fun get you distracted from keeping organized! 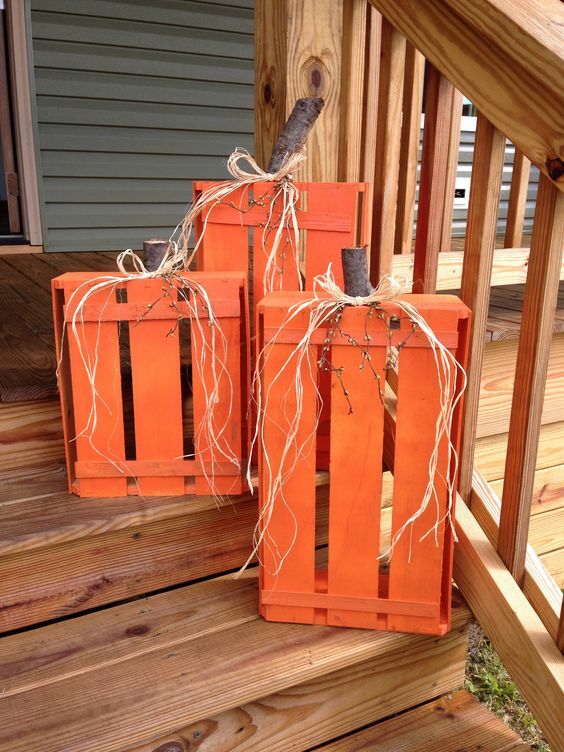 Start making your storage plans ahead of time, so you can sit back and relax this Halloween! Whether you’re an incoming college freshman about to embark on a new adventure, a current college student returning for the new school year, or the parent of college student preparing to help your student with their move- we’ve assembled our top 6 most needed storage items for your dorm. Keeping organized in a small dorm room is key- and these tips are here to help! 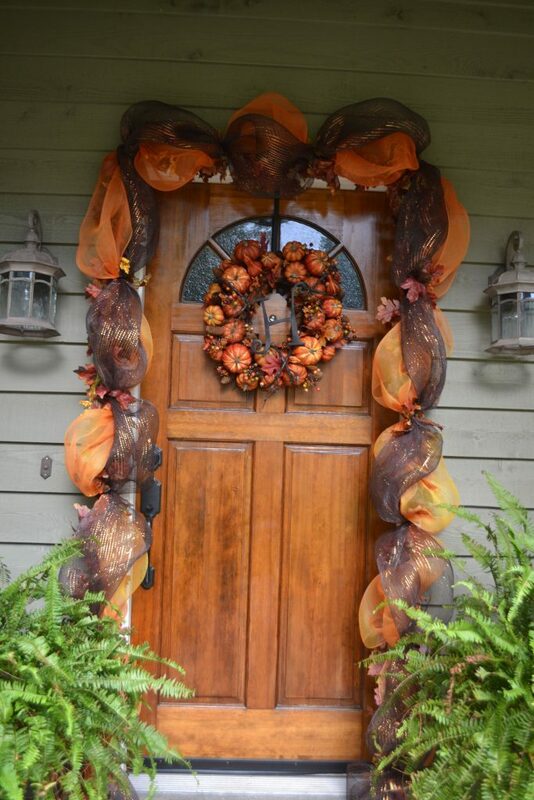 As the holidays come to a close it’s time to start packing up all of your decorations and gift wrapping supplies. 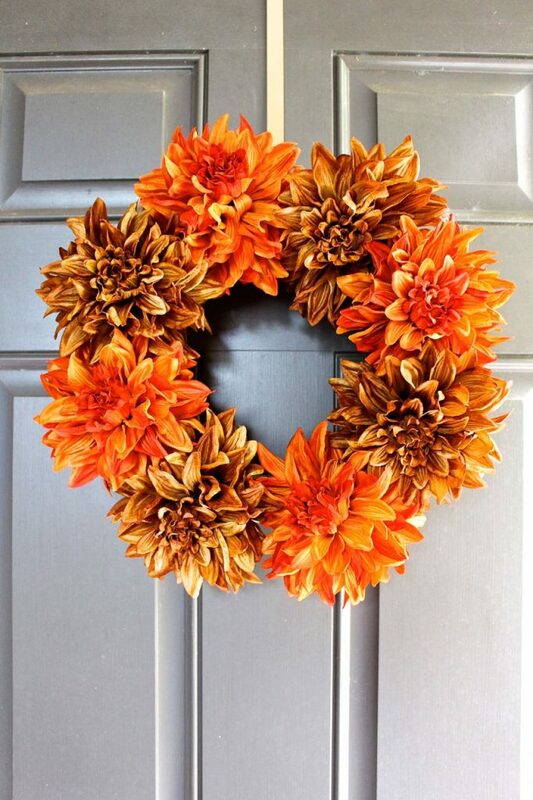 Storing fragile items or large items like wreaths, can become difficult and time consuming if you aren’t prepared. 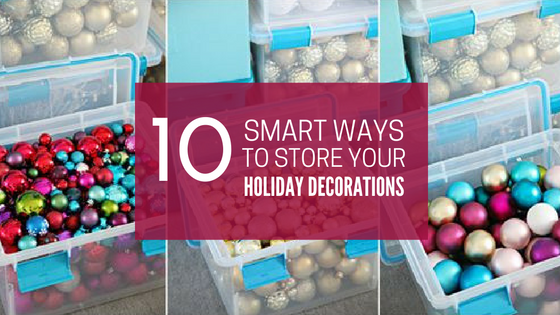 There are many different ways to store wrapping paper, lights, wreaths, and ornaments. 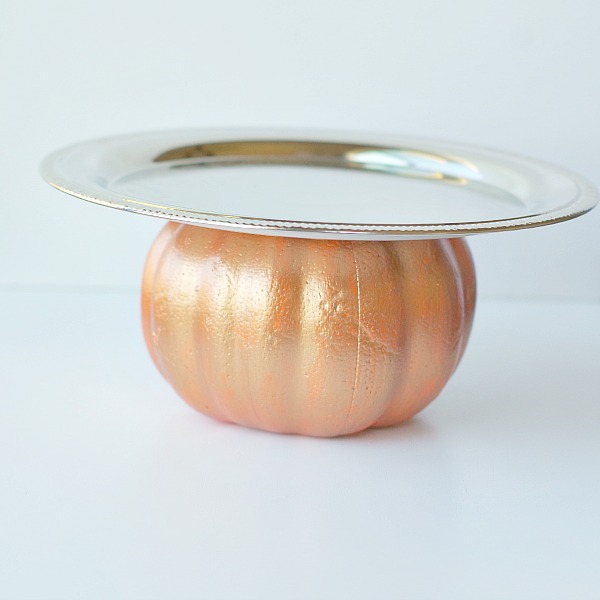 Here are just 10 of the smartest ways to store your holiday items this year. As 2016 comes to a close we reminisce on all the good memories and knowledge we have gained throughout the year. 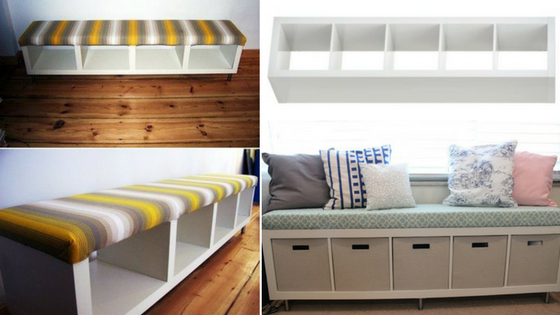 This year we had some amazing new storage hacks and ideas that went viral on the internet. 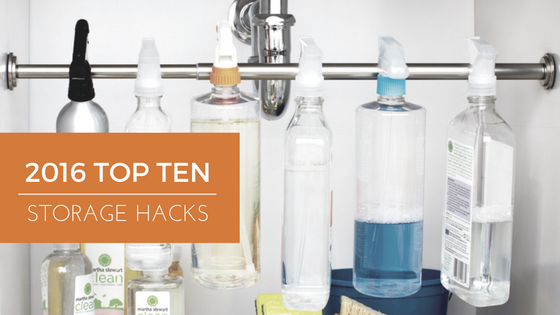 Here are the top 10 storage hacks of 2016.